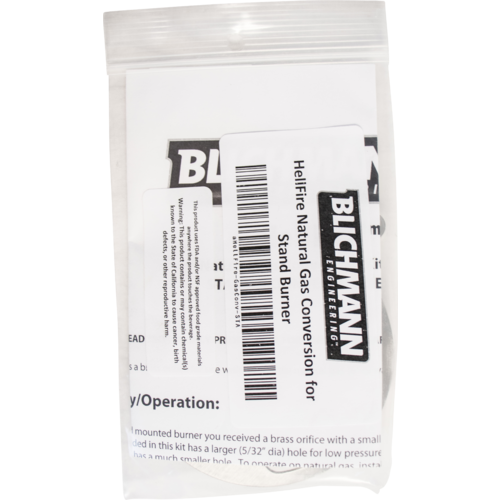 Looking to get away from using propane with your Blichmann Hellfire TopTier Burner? With this conversion kit, you now have the ability to use natural gas! 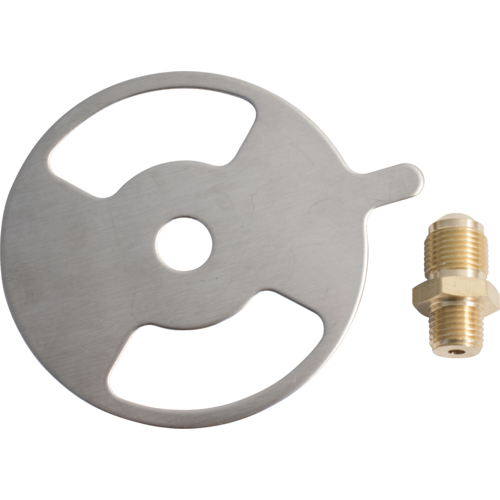 The kit includes the orifice and needle valve. I have a bayou classic burner. The orifice that is in it now has a 3/8 flare fitting and a 1/4 MNPT. will this work in my burner as well? 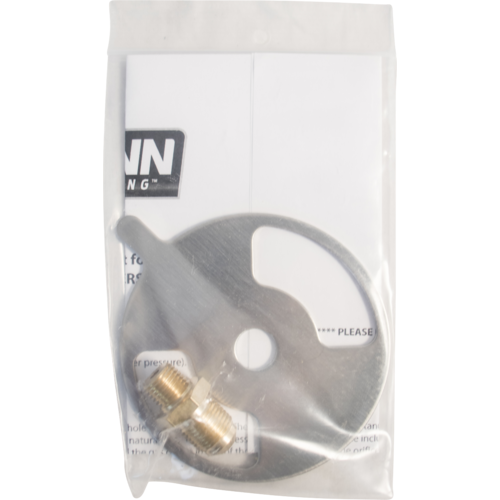 BEST ANSWER: Hi Jason - Unfortunately the HellFire natural gas conversion kit comes with a port drilled to 5/32” while the TopTeir’s port is drilled at 1/8”. Thanks for the reply Tyler. But that is not my question. I was wondering what size threads the fitting itself has where it screws into the burner. is it 1/4 or 3/8 NPT? Hi Jason - Apologies, the fitting is 7/16". I sent you a picture via email of the fitting with a measuring tool lined up for reference.